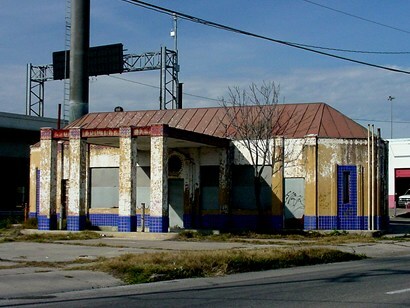 The Last Humble Gas Station, San Antonio Texas. "The last Humble station still has it's sign. 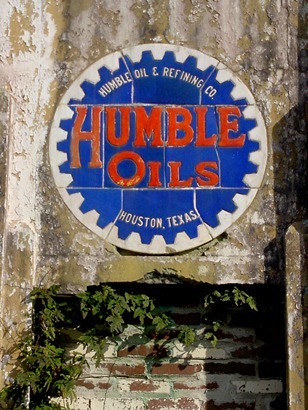 An interesting mosaic on the side of the building marks it permanently as an outpost for Humble Oil." 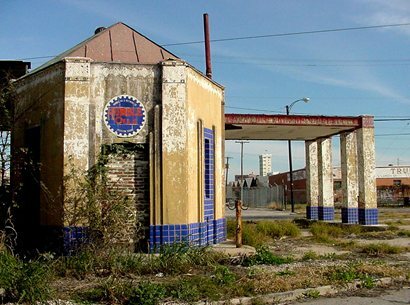 "Before there was Exxon, there was Esso. 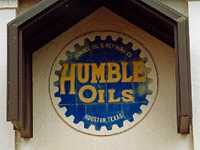 And in Texas there was Humble Oil. 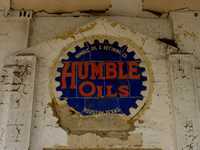 Humble Oil was once the most important oil company in Texas with service stations stretched across the state and huge refineries that supplied both Texans and motorists across the country." "Some of the old Humble stations have been abandoned, others have been remodeled with a new corporate logo affixed above the station. All the Humble stations are gone. All but one." 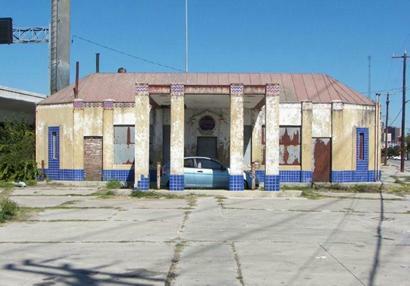 "The last Humble station no longer pumps gas, and it has no employees. As a matter of fact, it doesn't even have windows. 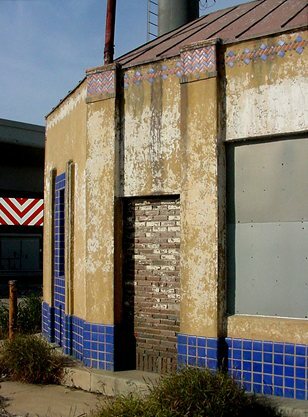 It's been closed for years." "The building is located just south of downtown. Bypassed by thousands of cars daily, it exists in a void. 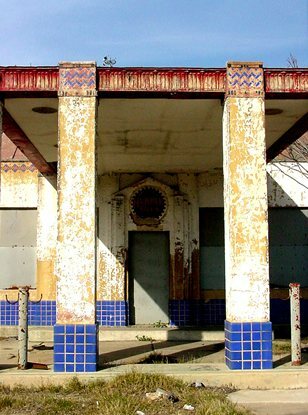 Too small for redevelopment, but saved from demolition by being far enough away from the highway, the station sits empty as a monument to the past." The broken tile sign above the door. Dark spot at 2 o'clock is a Chimney Swift's nest.